That's a wrap, everyone. 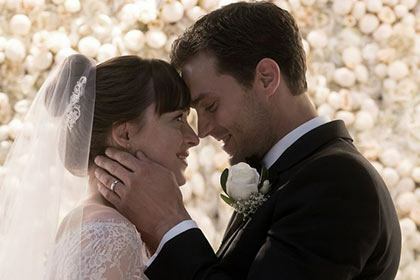 With the final installment of Fifty Shades in theaters now, Eloise Mumford, who plays Anastasia's best friend, Kate Kavanagh, talks about shooting Freed (which was filmed at the same time as the second movie). "I'm a very sentimental person, so I get nostalgic very easily," she says. "I have so many people reaching out saying they're really sad that it’s over. It's bittersweet." Here are five tidbits for fans who aren't ready to let go. The club scenes were awkward to shoot. After Kate and Elliot get engaged—at a club—they decide to hit the dance floor. But the music you hear in the movie is not the music that was playing during filming. On the contrary, the actors were dancing to nothing. "They do this thing where they play the music for a second, and then they drop it out and have a beat [only]," Eloise explains. "It always makes me laugh. 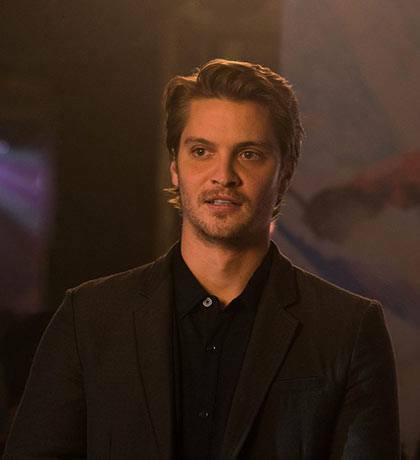 Luke Grimes [who plays Elliot] and I have had a fair amount of these dancing scenes together, where we have to be sort of sexily dancing with each other, and it's actually completely silent while we're doing it. It brings a certain sort of bonding, having to do this thing that you would never do in real life." The Aspen trip was shot in Whistler, Canada—and hiking in the woods was spectacular. "We all traveled up there and were staying at a hotel together," Eloise says. "It was really beautiful. It was just one of those moments where you're like, 'Oh my gosh, I just can't believe this is my job.' There are many unglamorous moments being an actor, and I have had my fair share, so when you have moments like that, you can appreciate them all the more." She improvised her jellyfish line. When Kate and Ana stumble out of the Bunker Club drunk, Kate is in the middle of finishing a story that ends with an out-of-context reference to being afraid of a jellyfish. "They were like, 'say something as you come out,'" she says. Because Kate and Elliott had just been on a trip to Barbados, she knew to focus it on that. "It made me laugh because my dad's a marine biologist and I have zero fear of ocean creatures," she says. "Of all the things in the world that would make me squeamish, that's not one of them." Sorry to crush your dreams, but the cast didn't hang out all the time. "We hung out a fair amount," she says, "but one of the things I really love about this cast is that everybody was really concentrating on making a great movie. People were there to work, which I, as a total nerd, really appreciated." They had the occasional group dinner, "but it wasn't a wild and crazy thing." For the last time: Jamie and Dakota have chemistry! "I think they're a delight together," she says. "The thing I love about them together is how much fun you can [sense they're having]—what a giggle there is in it. And it certainly is like that on set with them as well, they crack each other up continuously. That's a really fun vibe to be around on set." There you have it.